Congrats to Marc Wright who has won the 2016 GUKPT Grand Final in London for £132,380. 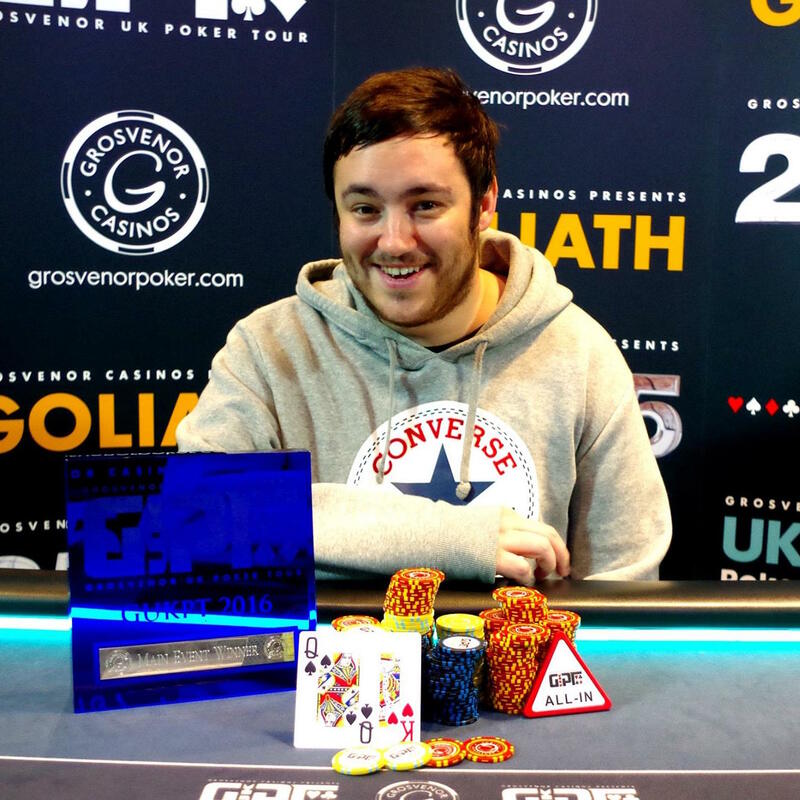 It was a career best score for the British player after he beat a 276-strong field £2,125 Main Event which took place at the famous Grosvenor Victoria Casino. Wright, 29, turned pro after quitting his job in retail to concentrate on the game. Formerly from London, he now lives in Cornwall. His previous best cash was €97,000 after he made the final of EPT Berlin in 2012. Wright beat Will Davies heads-up to take the GUKPT title and now has close to $450k in live tournament winnings. Tamer Kamel was third with Devilfish Cup winner Lucas Blanco finishing eighth. The GUKPT was celebrating its tenth season this year and is now the longest running poker tour in the country. If you want to be next GUKPT champion, then head to London for the first stop of the new season which is at the Vic from January 29 to February 5. MainEventTravel.com is the GUKPT’s Official Travel Partner; don’t hesitate to get in touch for great deals on your accommodation in London.